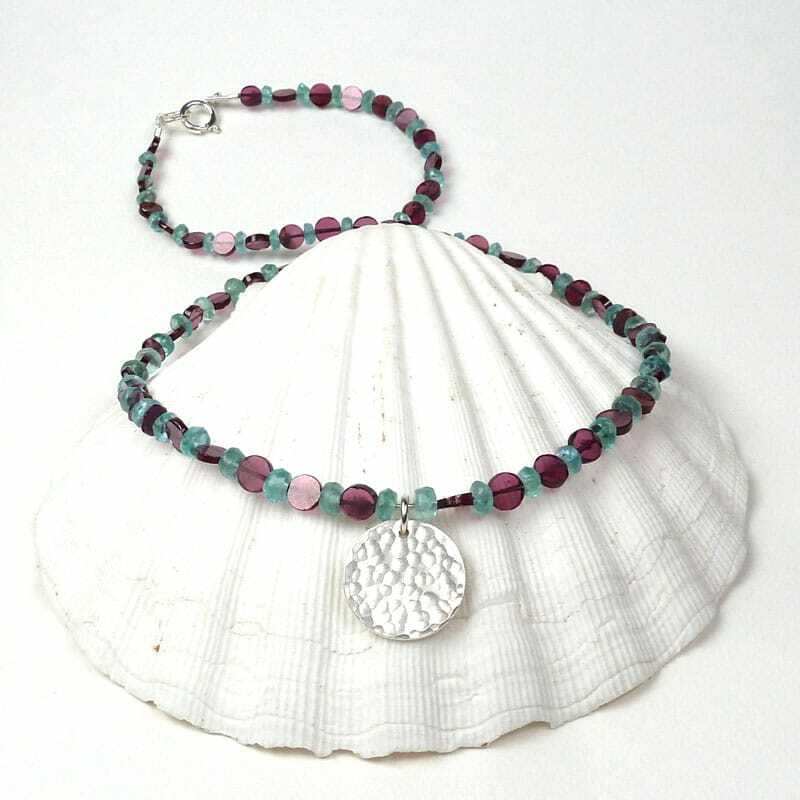 A pretty necklace of subtly sparkly gemstones. 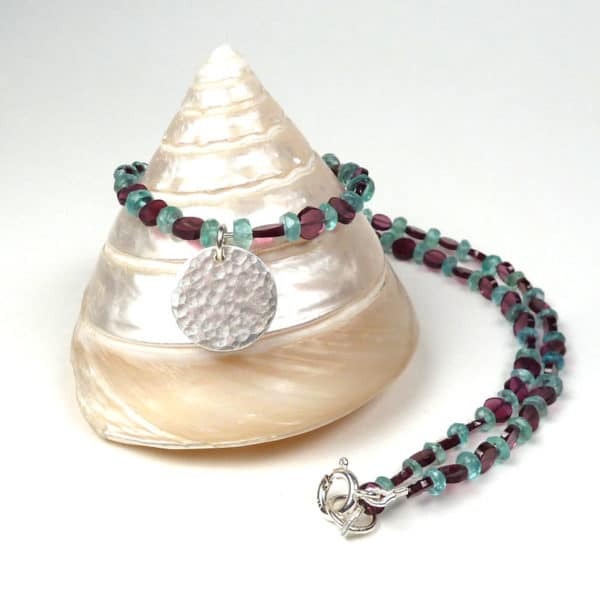 Polished coins of pinky-red garnet are interspersed with faceted teal apatite. 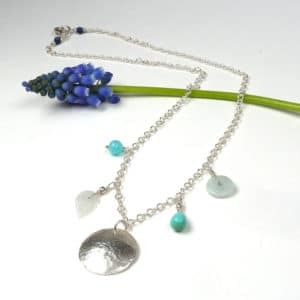 A hand-forged sterling silver disc sits at the centre. Length: 17.5 inches. Clasp: sterling silver bolt clasp. Diameter of central disc: 16mm. Diameter of gemstones: 5mm approx.